Is a Lawsuit Loan Different Than Traditional Financing? 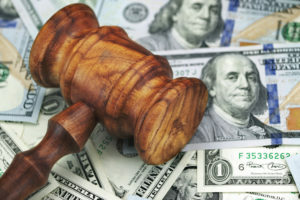 The Lawsuit Loan: A Faster Way to Get Compensation? Waiting for a lawsuit to settle can be stressful, especially when you have expenses and no money coming in. This is typical with personal injury lawsuits and disability or worker’s compensation settlements. Now there’s a process where you can get loans on your lawsuit, and they may help remove some of the financial pressure while you’re waiting for justice. Loan is a somewhat misleading term. What this option really does is assign a portion of your expected settlement to the lender in exchange for some money now. This can come in handy when you have rent to pay or mounting medical bills and no sign of when your case might settle. Insurance companies and other defendants are notorious for trying to stretch out cases for as long as possible, and it’s the people who can least afford it that suffer. This type of lawsuit finance is similar to a payday loan without the exorbitant interest or risk. Think of it as a cash advance at very low interest. Companies that offer lawsuit funding don’t even require repayment unless you win your case. That means risk-free money in your pocket now to take care of your family and keep the wolf away from the door. Companies that provide alternative funding don’t do it for nothing. You will have to turn over a portion of your settlement with interest. The financing is risk-free mainly because your case will be evaluated closely for its chances of success. When a company offers a cash advance without requiring repayment unless you win, they’re only going to bet on a sure thing. However, it beats worrying about mounting debts while you wait for resolution. A lawsuit loan isn’t really a loan. They’re cash advances toward a future settlement. If you have a pending legal action with a high probability of success, it may pay to check into this type of funding.